Why participate as BUYER? - You will be part of the only niche event focused in Latin America and the Caribbean. - Emotions offers a harmonious and happy environment, with special care on building personalized relationships with its participants. - You will meet a curated selection of only the best and most unique products of the region, leaving out massive or low quality products. In 4 days, you will become an expert in Latin America. - You will participate in Emotions special events which offer a relaxed ambiance, ideal for informal meetings and networking. - You will be able to join our pre and post trips to experience firsthand the products presented at Emotions. - Emotions is a unique event, with special focus on design, personal and handcrafted details and use of only noble, recyclable materials. Why participate as EXHIBITOR? - You will meet the best buyers specialized in Latin America and The Caribbean. - You will receive a full appointments´ schedule of meetings prioritizing mutual selections. - You can organize pre and post trips to present your product or destination so the buyer can experience it firsthand. - You will participate in Emotions special events which offer a relaxed ambiance, perfect for informal meetings and networking. - Commercial relationship and possibility of synergy between exhibitors, being all from the same region. - Emotions takes place within the region, made by and for Latin Americans, which makes it more affordable. Mark your calendar for May 5-8, 2019. 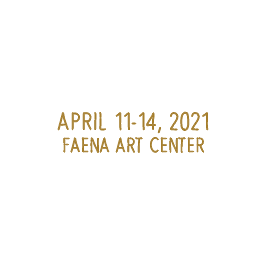 Emotions Buenos Aires 2019 will be held at Faena Art Center, Aimé Painé 1169, Buenos Aires, Argentina. During the course 4 days exhibitors and buyers will have the opportunity to engage in pre-scheduled appointments to get to know one another, do business and network with peers.